Teacher Bev Campbell, left, displays letters of the alphabet in her special education class at Amelia Earhart Elementary School in Hialeah, Florida, on April 3, 2012. The education secretary nominee’s singular focus on school choice through a voucher system puts the civil rights of students with disabilities at risk. There is something that supporters of school vouchers—such as Betsy DeVos, President Donald Trump’s nominee for education secretary—will not admit: Children with disabilities can and will be harmed under voucher programs. Consider Trinity Fitzer: In the spring of 2012 when Trinity was a 6-year-old kindergartener, she was kicked out of the private school she attended using a voucher provided by the Milwaukee Parental Choice Program.1 Over the course of the year, Trinity’s mother had been called several times to pick her up early because of behavioral problems, with school officials calling Trinity “out of control.” According to the Wisconsin Center for Investigative Journalism, Trinity suffered from gastrointestinal problems and anxiety, which led to challenging behaviors that her private school was not prepared—or required—to manage. 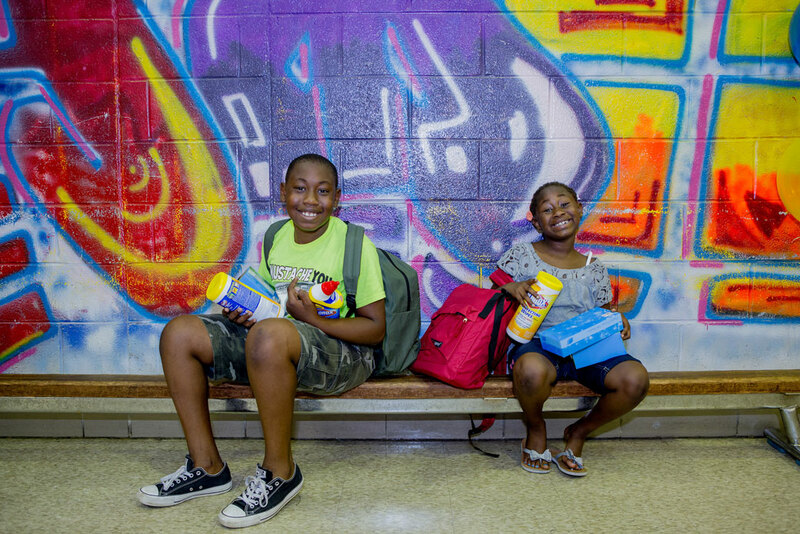 The Milwaukee Parental Choice Program is one of the oldest-running school choice programs in the country. While private schools that receive vouchers through the program cannot discriminate against students with disabilities, they are also not required to offer special education services beyond those that can be provided with “minor adjustments” to their educational program.2 This means that schools can deny admission outright to students such as Trinity if their needs are considered too severe. If schools do choose to admit students with special needs, they are not obligated to provide necessary behavioral and educational interventions and can refuse to continue services at any time. President Trump’s education plan, centered around a similar approach to school choice, would dedicate $20 billion in federal funding to provide families with a stipend to send their child to a school of their choice, often a private school.3 For her part, DeVos has devoted her career to creating and expanding voucher programs across the country.4 Both Trump and DeVos assert that these programs improve educational opportunities for students in need, including students with disabilities. In actuality, using a voucher often denies families such as the Fitzers their rights to critical services that children with disabilities need to succeed. Parents may even be required to forfeit many of their children’s protections now afforded under federal law. Students with disabilities are guaranteed various rights through a collection of federal laws. One of those statutes, the Individuals with Disabilities Education Act, or IDEA, has guaranteed critical protections for more than four decades. In the past school year, it has served 6.5 million students and provided more than $11 billion in funding to the nation’s schools, making it the second-largest K-12 program in the U.S. Department of Education.5 In addition to providing much needed funding, the IDEA guarantees that students with disabilities have access to strong academic programs alongside their peers. Trump and DeVos appear to have little knowledge of the protections provided by federal law. During her confirmation hearing, DeVos stated that enforcing the federal rights afforded under the IDEA is “best left to states” and admitted that she “may have confused” the IDEA.6 Her statements during the hearing make clear that she does not understand the rights that the U.S. Department of Education is charged with enforcing. In fact, in her responses to questions for the record from Sen. Patty Murray (D-WA), she stated that it would be “misguided” to require private schools to follow federal law.7 Without a deep appreciation for these laws, Trump and DeVos cannot comprehend the protections they are asking parents to forfeit by participating in voucher programs or the harm these programs pose to children with disabilities. Kim Fitzer did not have a choice but to find another educational placement for Trinity, despite the school’s statement that the agreement was reached mutually.8 Trinity ultimately transferred to a public school in Milwaukee with just a few months left in her kindergarten year. The private school kept the full voucher amount—a total of $6,442. As of 2013, Trinity was still in a Milwaukee public school, where she benefitted from a small class size, a formal education plan, and a teacher trained in special education.9 Her mom told the Wisconsin Center for Investigative Journalism that she was happy with Trinity’s new public school. Voucher programs provide families with a fixed amount of public funding to put toward private school tuition. The amount of each voucher, sometimes referred to as a scholarship, varies by program, grade level, and, for some programs specific to students with disabilities, disability category. The voucher is typically capped at a particular threshold, which may or may not cover the full cost of private school tuition. Supporters of voucher programs assert that the programs offer parents much-needed choice, as vouchers allow parents to shop around for a school that best meets their child’s needs.14 However, this choice comes with a high cost. Voucher programs either eliminate or greatly diminish the rights and protections of participating students with disabilities that are otherwise guaranteed by federal law. 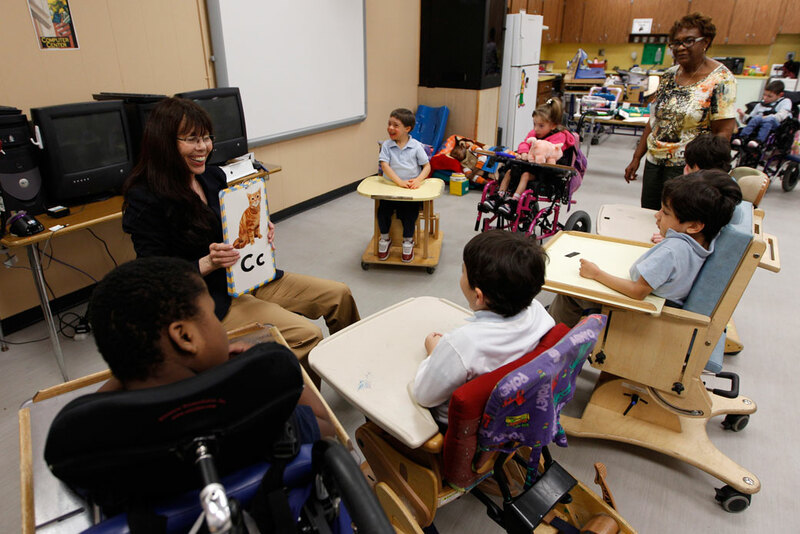 The federal government affords critical protections to students with disabilities through various civil rights laws, including the IDEA; the Americans with Disabilities Act, or ADA; and Section 504 of the Rehabilitation Act, or 504.15 These protections ensure that students and young adults with disabilities have an equal opportunity to pursue an education similar to that of their peers without disabilities, free of discrimination. The ADA and Section 504 ensure that students with disabilities are not discriminated against or denied access to programs because of their disabilities. Some of the rights under the IDEA are outlined below. Schools may not suspend children for more than 10 consecutive days without formally changing their education placement in their IEP. If the behavior that warrants exclusion from their educational placement is determined to be the result of their disability, schools must conduct an evaluation to determine appropriate behavioral supports that will meet the children’s needs and return the children to their original placement. To participate in many voucher programs, parents must sign away some or all of their protections and rights under federal law.24 What’s more, some states are not transparent about this stipulation. For example, Florida’s McKay Scholarship requires students to forfeit their rights described above and that condition is not clearly stated in the information available to parents on the state’s website.25 Moreover, when choosing a private school, parents may not understand that private schools eligible to receive vouchers are not necessarily required to meet a particular threshold of quality. It is wrong to defend radical proposals for gutting K-12 federal funding by pointing to totally different higher education investments. By requiring parents to forfeit their rights, voucher programs leave families with no assurance or guarantee that their children will receive the services and supports they need to meet grade-level academic standards. Parents also have no recourse but to remove their children from the school if they are not satisfied with the education provided. In instances where a private school does identify necessary supports for children to meet their potential, such as one-on-one reading instruction or occupational therapy, parents must often foot the bill for those supplemental services when they exceed the total cost of the voucher. These additional costs can be significant. The amount provided by each voucher program varies by state and, for some programs that apply specifically to students with disabilities, by student need. Some programs offer as little as $2,500 for a year of tuition and other programs offer close to $30,000.29 The average tuition of private schools across the country is $10,740, which does not include any additional services.30 For nonreligious schools, that number is much higher—$21,810.31 In most cases, parents are responsible for paying the difference between the tuition costs and the amount provided by the voucher. Parents may not be aware of potential out-of-pocket costs when they sign up for a voucher and enroll their child in a private school. For example, if a school determines that a student needs more supports in the middle of the school year, parents must cover the cost or stand in the way of their child accessing those services. Conversely, in public schools, districts are responsible for the cost of all services and supports. In short, voucher programs can leave children and families with fewer services, hefty bills, and no opportunity for legal recourse. Without comparable data on school quality, it is difficult to assess whether private schools are providing a high-quality education in exchange for public dollars. For example, participating private schools in the McKay Scholarship Program in Florida are not required to report any evidence or data of student outcomes.36 Similarly, the Georgia Department of Education releases an annual report at the end of school year for its Special Needs Scholarship Program, but it does not include any information on student achievement.37 Parents cannot make informed decisions about the best school for their child without comparable data on student outcomes. Participating private schools also do not have to hire teachers with the same rigorous credentials that federal law requires of public schools. Given the body of evidence demonstrating the importance of teacher quality on student achievement, parents should have knowledge and confidence that highly trained teachers are responsible for their child’s education.38 Vouchers provide no such guarantee. Since the passage of the IDEA more than 40 years ago, opportunities for students with disabilities have vastly improved. The collection of federal laws that protect the rights of and hold high standards for students with disabilities has paved the way for greater inclusion and opportunities for students with unique learning and behavioral needs. There is still work to do to ensure that children and youth with disabilities have access to rigorous academic and career opportunities alongside their peers. The government must work hand in hand with teachers, parents, and students to improve services that meet unique needs and hold all children to high standards. Students with disabilities deserve leadership that will maintain and advance their rights and opportunities. The voucher policies, pushed by President Trump and Education Secretary nominee DeVos, do the opposite. They undercut the progress of the past few decades by requiring parents to sign away hard-sought rights and do not hold schools accountable for students’ progress. Advocates, parents, and policymakers must push back against these policies to ensure that all children, including those with disabilities, get the education they deserve and is afforded to them by federal law. Meg Benner is a senior consultant at the Center for American Progress. Rebecca Ullrich is a Policy Analyst with the Center for American Progress.